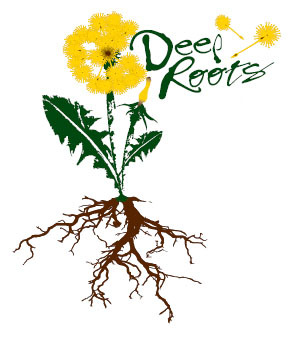 In July 2007, Deep Roots Music Project founder Chris Gragg led the first Deep Roots Workshop for teachers. 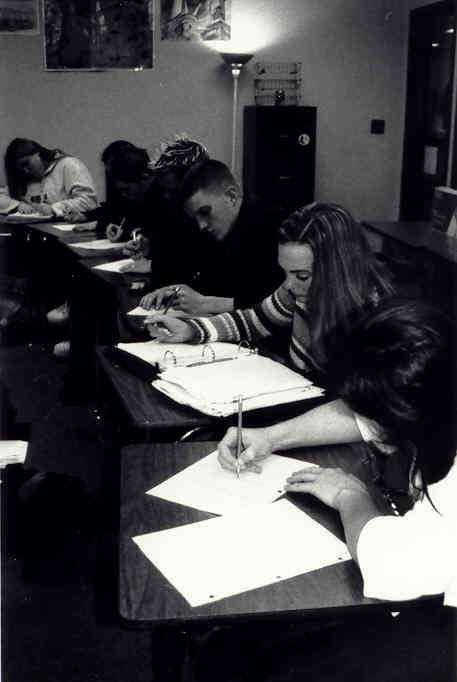 The workshop was hosted by Portland, Oregon's Lewis and Clark College. Right now, there are no specific plans for a second workshop. We'll keep you posted. Drawing on the experience of the teacher and volunteers responsible for the 10-year-old Deep Roots Music Program, this weeklong course for high school teachers demonstrates an effective curriculum model used to help students produce their own song lyrics and music CDs. Participants will explore the creative medium of songwriting and examine its potential impacts on self-expression, classroom community-building, and the general improvement of students’ writing skills. 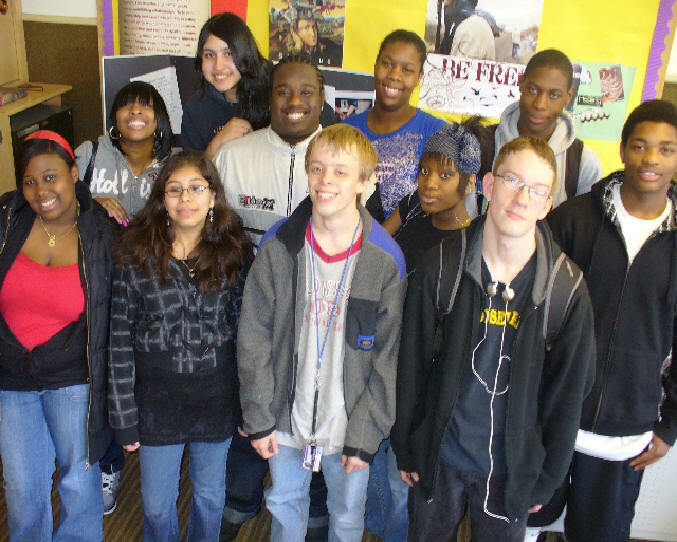 Both in the classroom and during visits to a local recording studio, we will collaborate with professional musicians and recording engineers in order to design and implement effective songwriting lesson plans, write original song lyrics, and craft and record our new songs on a finished music CD. Participants will receive two semester credits. Possible scholarships available. Together Workshop Participants . . . Collaborate with professional songwriters to create and demonstrate dynamic and effective songwriting lessons for high school classrooms. Write and revise original song lyrics, which professional musicians will help us publish as finished songs on a compilation music CD. Learn and help execute the basic steps of creating a music CD with high school students; including recording, mixing, mastering, marketing, and manufacturing. 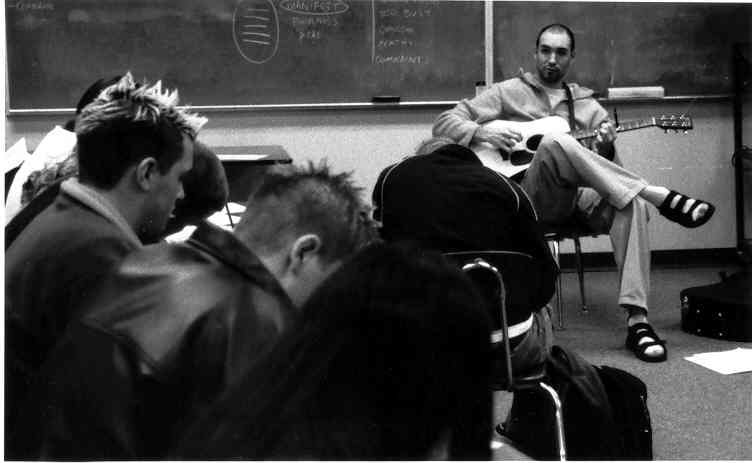 Consider ways to incorporate songwriting and the creation of music CDs into our high school English curriculum in a manner that helps achieve personal, district, and state curriculum guidelines and goals. Create individual time lines and plans of action to help our students create their own songs and music CDs. We enlist local professional musicians as mentors to high school writers. These musicians visit classrooms and share their real-life writing lessons, and then the young writers put their newly learned skills and strategies to work as they craft their own song lyrics. Once the students supply the words, our large, established network of bands and musicians to transform the words into finished, recorded songs, each of which is featured on a professional quality music CD. The students are directly involved throughout the entire process; visiting the recording studio, writing press releases, creating cover art, singing and playing on the CD, organizing publicity and sales campaigns, and hosting a free public concert at the school. Sales of the CDs generate money used to pay production costs for the next year's student-generated CD, and in this manner the program becomes ongoing and financially self-sustaining at the school site level. Gragg is working on a second edition of the manual, with an expanded lesson plan section and other new ideas and information.